Learn how the subjectivity of machine learning training data raises an entirely new set of questions about the ethics of applying it to everyday scenarios. Machine learning is now being used for everything from identifying images of cats to predicting the likelihood criminal recidivism. Many assume that AI has an infallible objectivity that puts it above questions of morality, but that’s not always the case. In his talk from at EuroPython 2017, Maciej Gryka, lead data scientist at Rainforest QA, points out that the subjectivity of machine learning training data raises an entirely new set of questions about the ethics of applying it to everyday scenarios. 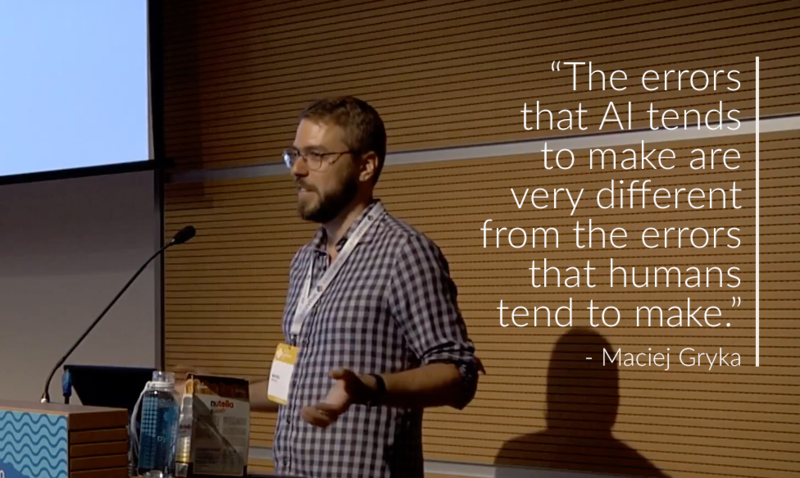 In this talk, Maciej explores some of the uses of machine learning being used today and how bias present in training data can have real-world consequences. Watch “Despicable Machines: Why Computers Can Be A**holes” below to learn more about the ethics of machine learning and the cutting-edge research being done on the topic. Do We Need Public Scrutiny of Automated Decisions?